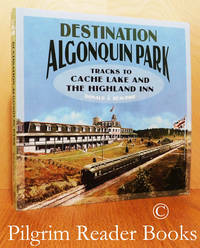 Destination Algonquin Park: Tracks to Cache Lake and the Highland Inn. Renfrew, Ontario. : General Store Publishing House.. Near Fine. 2011. Soft Cover. 9781926962115 . 8vo - 23 x 23 cm. ; xii - 289 pp. From the back cover: ". . . Don Beauprie relates the history of a thriving part of Algonquin Park where people once lived or vacationed in grand inns or at camps and cottages, and where he spent much of his life. His book begins with J. R. Booth's railway, which led to the development of tourism and the Highland Inn, and concludes with tales about the settlement of Cache Lake and its characters." 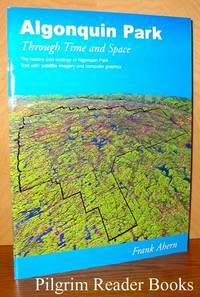 Two appendices: "Early Railways in Ontario" and "Algonquin Park Superintendents, 1893 to 2011". Six pages of sources and a 17 page index. Minor wear to the fore corners of the covers, else fine. .
Toronto, Ontario. : Warwick Publishing Inc.. Fine. 2006. First Edition. Softcover. 1894622723 . 4to - 27.5 cm x 21 cm; 48 pp. Staple bound. Professor Ahern brings his experience, skills and love of the outdoors to provide a unique view of Ontario's Algonquin Park. Profusely illustrated with full colour photographs, maps and charts with many of the photographs being satellite images. 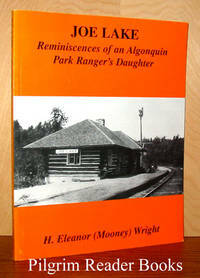 A new and unused copy. .
Joe Lake: Reminiscences of an Algonquin Park Ranger's Daughter. By Wright, H. Eleanor Mooney. Eganville, Ontario. : HEW Enterprises,. Fine. 1999. First Edition. Softcover. 0968602509 . 4to - 27.5 x 21.5 cm. ; xviii - 126 pp. Signed by the author on the title page. Wright grew up in Algonquin Park and describes the memories she has of one the remote park communities - Joe Lake. Illustrated with many photographs and maps. Well researched with notes, bibliography and general index. An as-new and unused copy. ; Signed by Author . 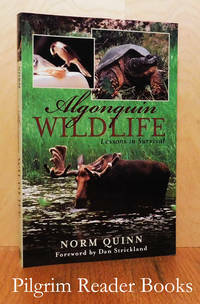 Algonquin Wildlife: Lessons in Survival. Toronto, Ontario. : Natural Heritage / Natural History Inc.. Fine. 2002. Softcover. 10896219284 . 8vo - 23 x 15 cm. ; ix - 246 pp. Algonquin Park was the first provincial park in Ontario and has obtained world reknown for the variety of its wildlife and habitats. Quinn, a park management biologist, looks at the research done in the park with an eye to making the results accessible to the lay person. Includes bibliographical references and an index. Foreword by Dan Strickland - perhaps Algonquins most well known chief park naturalist (1970 - 2000). .